We are experts in the fields of both fibreglass and gelcoat repairs. 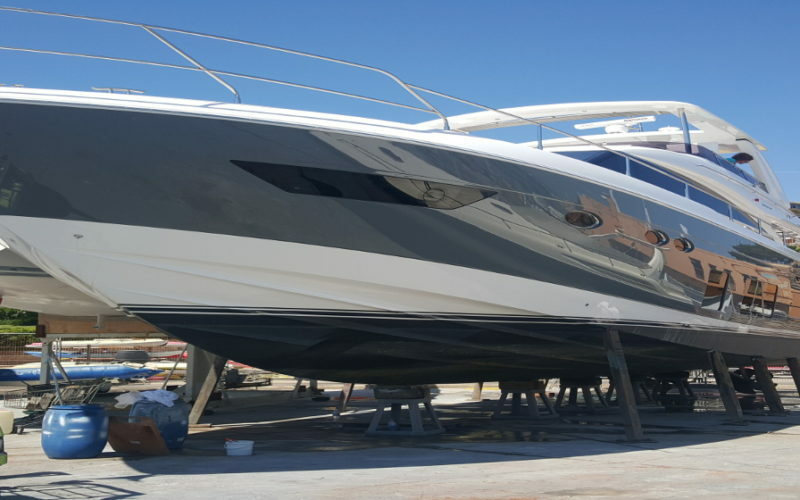 Structural damage to the laminate, surface damage to the gelcoat, chips, cracks or any other imperfections, our specialist team will restore your boat back to it’s original beauty. With a proven track record in these fields having completed many successful projects for some of the largest superyacht companies in the world. We’ve worked with boatyards, charter companies, marina operators, surveyors, private owners and insurance companies undertaking repair work in some of the most demanding conditions all over the globe. More affordable than you may think! Repairing the gel coat may seem like a nightmare scenario but you’ll be surprised at how quickly this can be done by our experts. At a price that’s affordable and with more than 20 years of experience, we are a dab hand at repairing gel coats leaving your boat looking as good as new once more. The extent of damage caused is irrespective, it won’t take long for our specialists to repair and get you back out on the open water. Compound buffing and a protective wax finish will protect the gelcoat and leave your hull ready to sail off into the sunset. Whether you have air bubbles, cracks, thinning gel or scuffs, Marine BodyWorkz Ltd specialise in restoration or simply bringing a new lease of life into your boat, please contact us for a free no obligation quote.